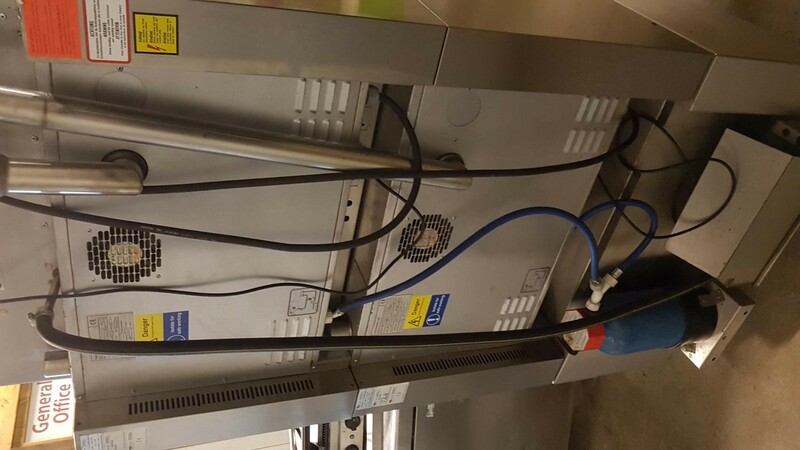 Presenting a stacked pair of Tom Chandley electric bake off ovens. 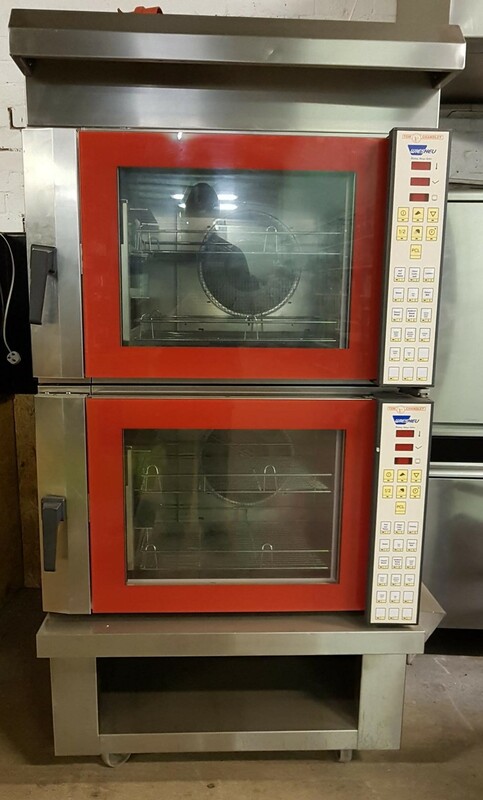 These are the popular TC4C ovens from 2006 but are in immaculate condition. 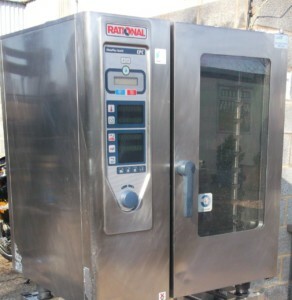 Digital control with a broad range of baking management for excellent and consistent results. 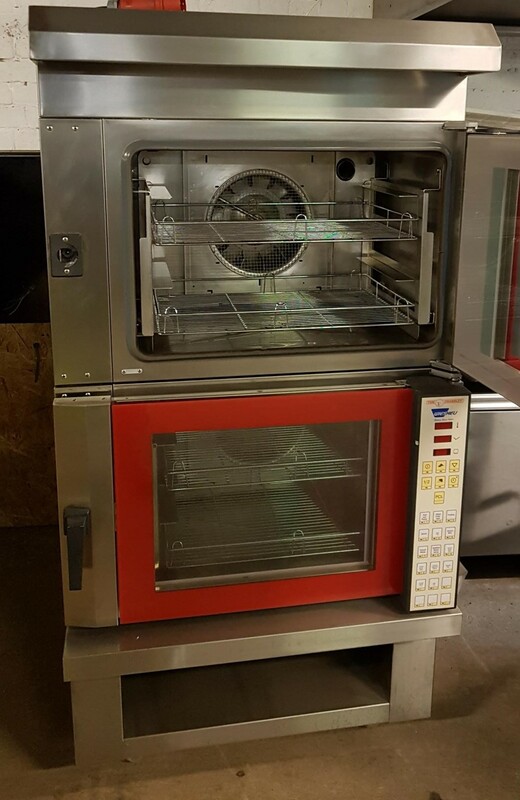 With an integrated condense hood to capture escaping steam, this clever pair of ovens is set up for the most demanding bakery, retail counter, farm shop or deli kitchen.